These sculptures have been inspired by chairs. The idea was triggered by finding a small toy chair from Spain discovered in a car boot sale. Tony made a variety of these sculptures using varied sizes and materials. He avoids any reference to furniture however all his sculptures have a seat, back and legs. He has been commissioned to make several large chair sculptures in steel and wood. One chair commission by Sustrans has been sited on a river bank looking towards Ely Cathedral. 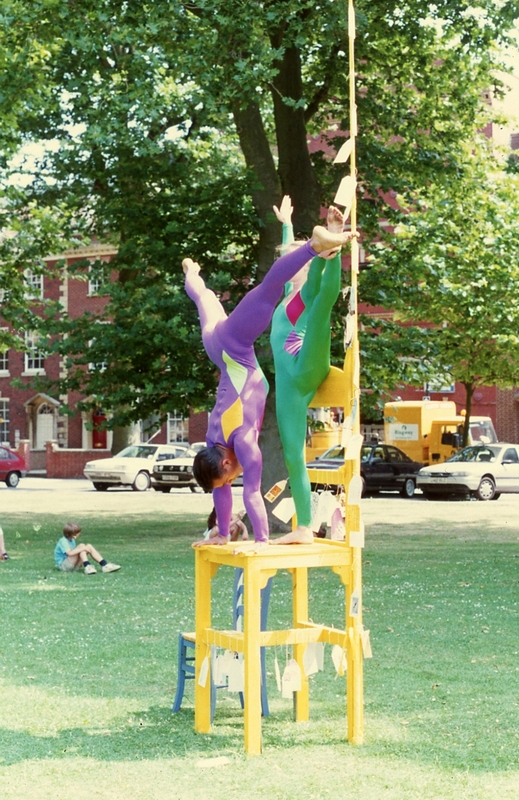 For several public events Tony employed acrobats to perform on the chairs. 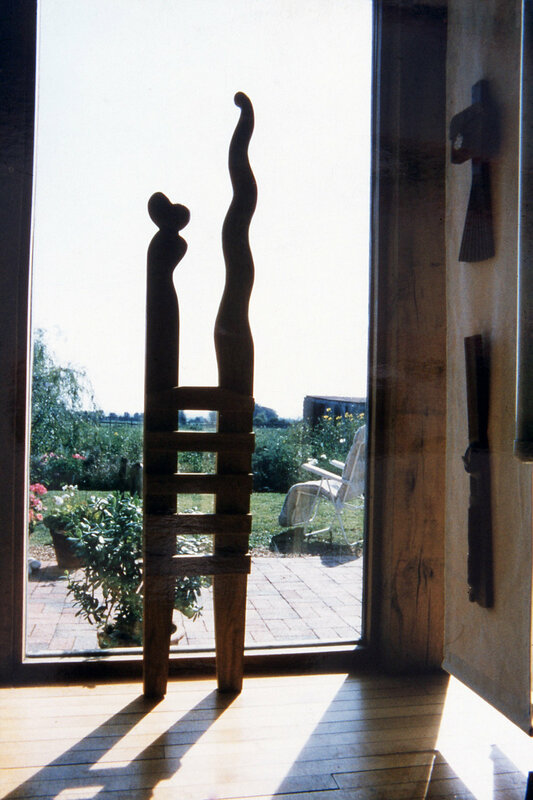 It gave the chair sculptures an added dimension. This tiny toy chair was the inspiration for a collection of over one hundred chair sculptures. Ladders are an exciting subject to explore. In New Mexico ladders are an integral part of the culture. In the past they gave access to the second floor of adobe houses and were hauled up for defensive purposes. Exceptionally tall ladders are used in religious ceremonies which emerge from a subterranean room. Although ladders are common place objects, in New Mexico they have taken on symbolic power.